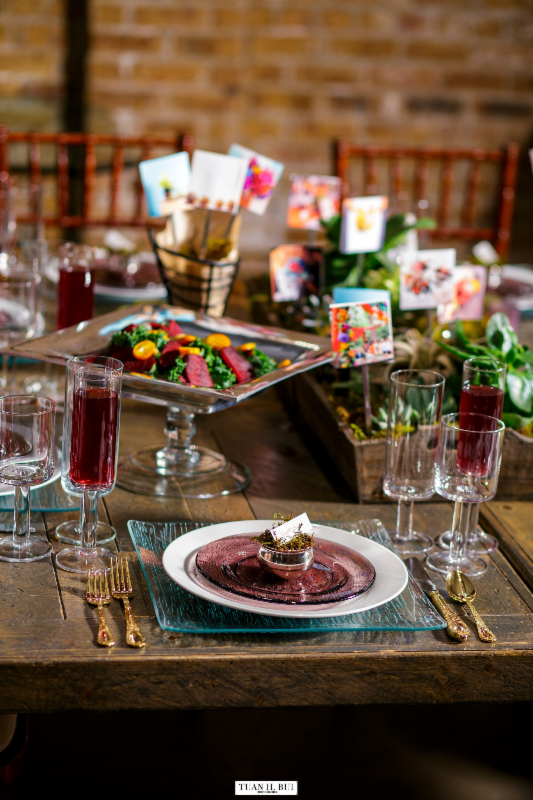 This month's table was designed by the FIG Catering team of Molly Schemper, co-owner, Stephanie Lu Jokich, Weddings and Special Events Manager and Michelle Marchisotta, Corporate Events Manager. 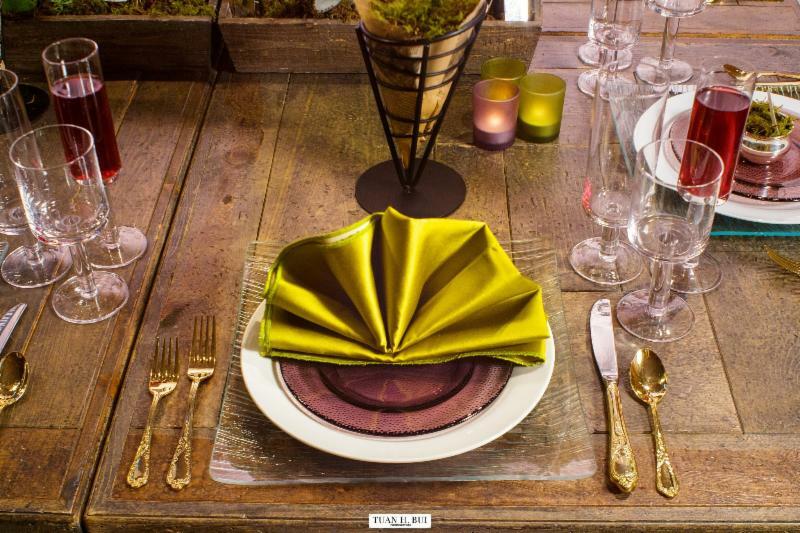 They easily decided on natural elements and the colors they love which just happen to be the color of figs. Molly explained, "we decided to reflect on the month of March, which is depressing and cold. Even if it is warm, things haven't begun to sprout". 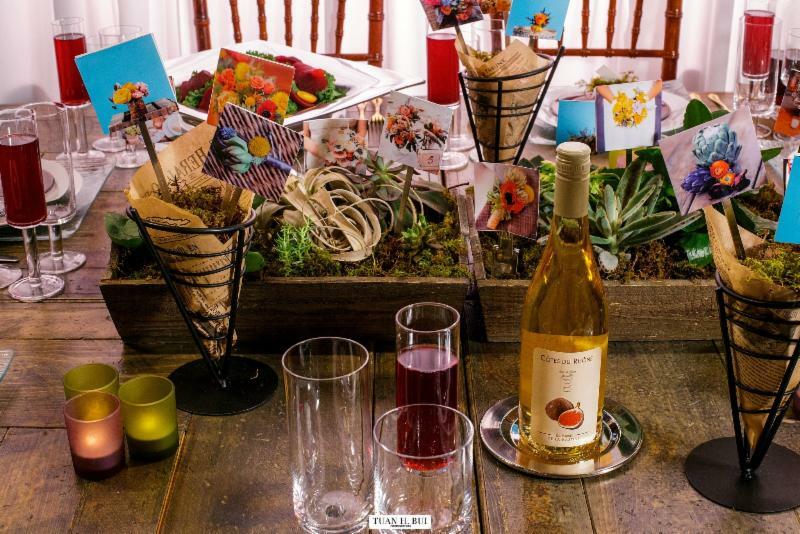 So they restricted their centerpiece to succulents rather than using out-of-season floral. 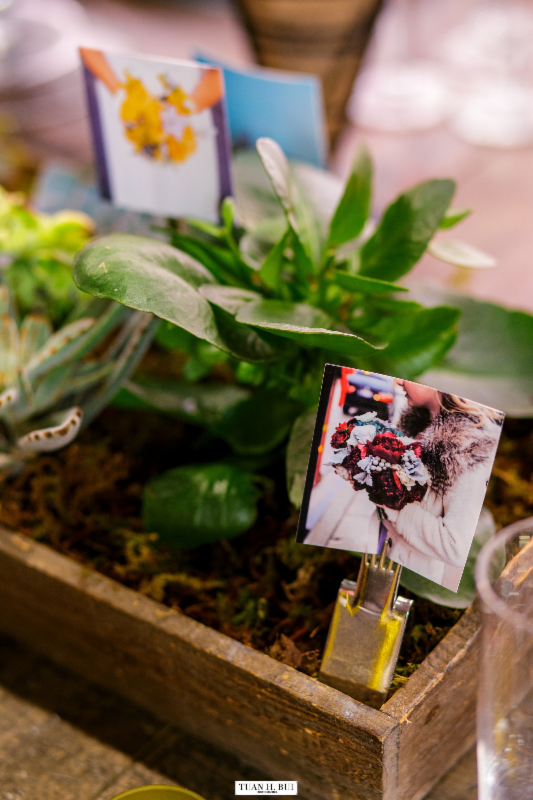 With the help of their florist, Janessa Ambrosio of Forget Me Knodt, they used photos of her summer florals clipped onto our chrome tented tasting forks. They brighten up the table, last all month in our showroom and make us think of spring. 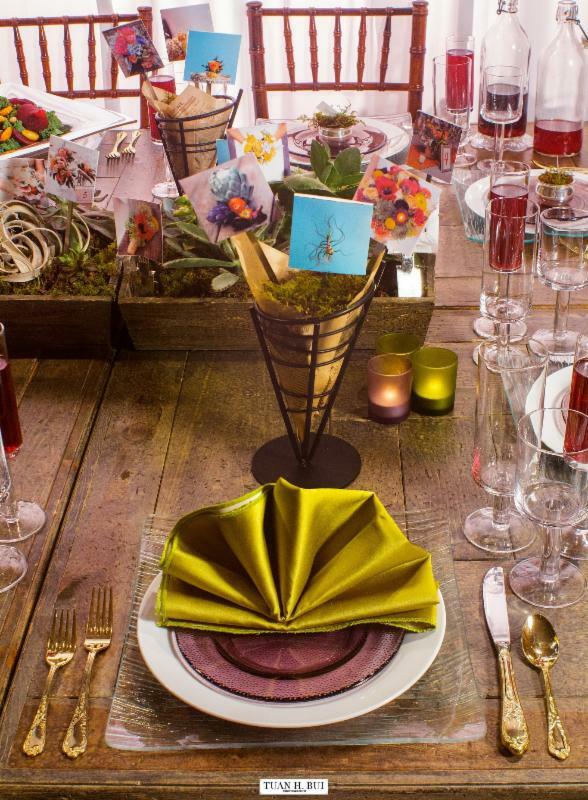 Hence, the name of the table is "Spring Into It". 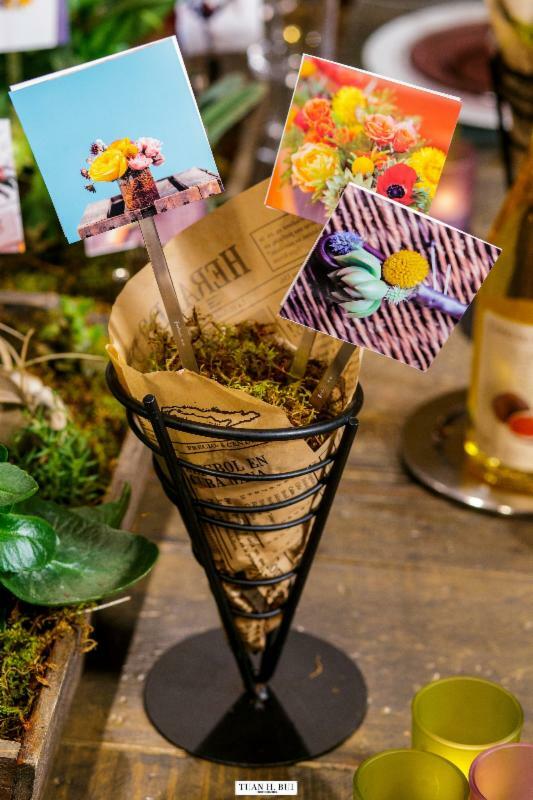 Gorgeous floral pictures were also positioned on stainless presentation forks in our black metal cone holders. When Molly asked for a way to wrap the moss into the cone holders, we had the perfect solution--our new brown paper inserts. Although the liners are also available in white newsprint, we thought the brown they selected added to the naturalness of their tableau. Thanks to all involved with this guest designer table to make our March a little less drab with a tease of spring that surely will be here soon. Maybe by June?? ?